What Are the Most Popular Emojis Used on Social Media? Emoji is really a language all of its own these days. 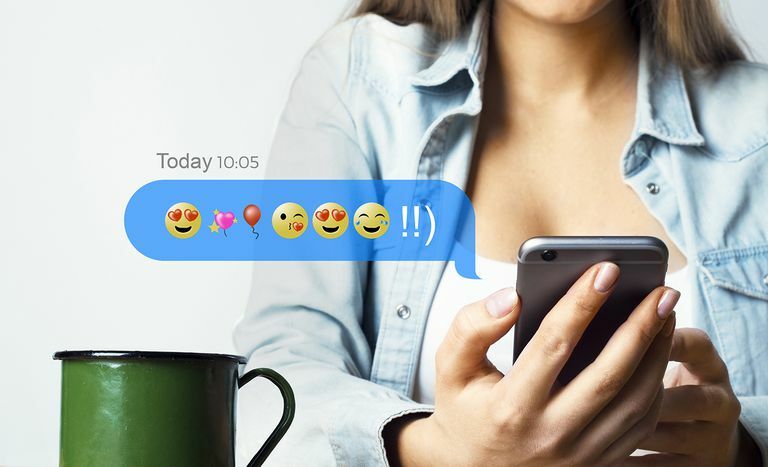 Even though emojis are mostly popular in text messaging and social media posting, you can now even find games, apps, social networks, and books based entirely off of the emoji trend. There are lots of different emojis to help spice up your bland messages, but really only a handful are favored by the masses, among the rest. Can you guess which ones they might be? To see which ones are the most popular, at least on Twitter, you can look at EmojiTracker—a tool that tracks emoji use across Twitter in real time. Any of the red/pink hearts, face with tears of joy, ​and smiling face with heart-shaped eyes almost always dominate the top spots. This could change over time, especially as additional emoji are introduced and embraced by more platforms around the web. Go ahead and check out where these rankings stand in real time by visiting EmojiTracker yourself. Keep in mind that this tracker doesn't include all the emojis used on other social networking sites, text messages and elsewhere on the web—other than Twitter. In July of 2017, Mark Zuckerberg posted an infographic on Facebook that showed some of the most popular emoji trends on the social networking giant in celebration of World Emoji Day. Interesting how Twitter's number one most used emoji is actually Facebook's 10th most used emoji, don't you think? Instagram is one of the big social networks out there that has always been a mobile-first social network, so it's no wonder that its users love emojis. A slightly older study from SwiftKey revealed other ways we tend to use emoji. Using over one billion pieces of data in several different categories, some of the most popular emoji used in specific countries were revealed. The number one emoji in the U.S. is the eggplant, followed by others like the poultry leg, the birthday cake, the bag of money, the iPhone and others. Canada uses the smiling poop emoji the most, followed surprisingly by other emoji in categories that are more typically American—like violent emojis, raunchy emojis, and sports emojis. Russian speakers actually revealed themselves as being the most romantic, accounting for three times as many romance-themed emoji as the average person. The French aren't far behind Russia and live up to its romantic reputation being the culture that used heart emojis four times more than any other. Australia has the most care-free emoji report, being leading users of emoji for alcohol, drugs, junk food and holiday celebrations. Happy face emoji account for about 44 percent of all that are used, followed by sad faces at 14 percent, hearts at 13 percent, hand gestures at 5 percent, and the rest at very small percentages. French happened to be the only language where its top emoji was a heart and not a smiley face.